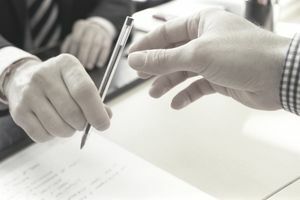 If your business signs a contract with another party, you may be required to insure the other party under a liability coverage that is primary and noncontributory. This requirement often appears in building leases, construction agreements, and other commercial contracts. Here is a typical scenario. Diana owns the Deluxe Diner, a popular cafe located in a busy shopping center. Diana operates her restaurant in space she rents from Premier Properties, the shopping center owner. Diana's current lease expires in sixty days, and her landlord has sent her a new one to sign. Like Diana's expiring lease, the new contract requires her business to assume liability for claims against Premier Properties that result from the restaurant's operations. The contract also contains insurance requirements, most of which Diana has already satisfied. She has insured the restaurant for liability under a standard general liability policy that includes contractual liability coverage. The policy covers Premier Properties as an additional insured for third-party claims that arise out of the restaurant's use of the leased premises. The new lease contains a provision that doesn't appear in her expiring contract. It states that the liability coverage Diana provides for the Premier Properties must be primary and noncontributory. Diana is mystified. What does this mean? Virtually all liability policies contain a policy condition entitled Other Insurance. This condition explains how the policy will apply if other insurance exists for a claim covered by the policy. Most (but not all) liability policies contain the same Other Insurance clause found in the ISO policy. The clause states that the coverage afforded by the policy is primary except when certain situations exist. This means that for most types of covered claims the policy affords first-line coverage. In the Deluxe Diner scenario, Premier Properties is demanding primary coverage under the restaurant's liability policy even though the policy already is primary. Why? Premier can't be certain that the diner's liability policy contains the same Other Insurance clause as the ISO policy. It wants to ensure that no matter what type of policy Diana chooses, it will cover Premier on a primary basis. Premier has purchased a liability policy to protect itself against claims stemming from negligence it commits in the course of its property ownership business. It doesn't want its policy limits used to pay claims that arise out of the restaurant's operations. Premier wants to ensure that any suits against it that arise of out accidents that occur at the restaurant will be covered under the diner's liability policy. In addition, Premier doesn't want its own policy to contribute to any loss (pay any damages) that result from such claims. The standard ISO liability policy does not use the word noncontributory. To comply with a contract that requires liability coverage to be primary and noncontributory, you must request an endorsement to your policy. A standard Primary and Noncontributory endorsement is available for this purpose. The endorsement states the liability policy to which it is attached is primary insurance. In other words, the coverage afforded by the additional insured endorsement is primary. If a claim occurs that is covered by both this policy and the additional insured's policy, the insurer will pay the loss without waiting for the additional insured's insurance to pay. Secondly, the endorsement confirms that the policyholder's insurer will not seek contribution from other insurance available to the additional insured. In other words, if a loss is covered by the additional insured endorsement, the policyholder's insurer will not ask the additional insured's insurer to pay any portion of it. The following example demonstrates how the primary and noncontributory endorsement protects the additional insured and its insurer. Jane is a customer of the Deluxe Diner. One day, Jane is eating lunch at the diner when a piece of acoustical tile falls on her head. Jane suffers a head injury and sues the Deluxe Diner and Premier Properties for bodily injury, alleging that both were negligent. Her suit contends that Diana had known for months that the acoustical tile was deteriorating but had done nothing to eliminate the hazard. The suit also alleges that Premier Properties knew about the faulty tile but had failed to replace it. Premier Properties is listed as an additional insured in an endorsement attached to the Deluxe Diner's liability policy. The endorsement covers Premier's liability for the ownership, maintenance or use of the portion of the building that is leased to the diner. The restaurant's liability policy includes the primary and noncontributory endorsement. Diana sends the lawsuit to her liability insurer. The suit is eventually settled for $20,000. The insurer pays $10,000 on behalf of the diner and $10,000 on behalf of Premier Properties. Once the diner's insurer has paid the settlement, it cannot attempt to recoup any of its loss payment by subrogating against the landlord or its liability insurer. The diner's insurer has agreed via the endorsement that it will not seek contribution from any other insurance available to Premier Properties. Many businesses satisfy insurance requirements in contracts by purchasing both a liability policy and a commercial umbrella. For instance, suppose that Diana's lease requires her to purchase $2 million in liability coverage. Diana meets this requirement by purchasing a primary liability policy and an umbrella. Each policy has an occurrence limit of $1 million. If Diana's liability policy includes the Primary and Noncontributory endorsement will her umbrella apply on a primary and noncontributory basis as well? The answer is likely no unless the umbrella also includes a Primary and Noncontributory endorsement. An umbrella policy includes its own Other Insurance clause. It does not automatically follow the Other Insurance provisions in the primary policy, including provisions amended by Primary and Noncontributory endorsement. If Premier Properties is sued for $1.2 million due to an accident that occurred at the restaurant, the diner's umbrella insurer may refuse to pay any portion of the damages until all available primary liability insurance (including Premier's own liability coverage) has been exhausted.